To add to the fun and connect with folks that can’t attend directly, we’re looking into some creative ways to experiment with live documentation of the event. If you enjoy Twitter, Instagram, Youtube or other online tools, bring your gadgets and help document the event. We hope to test out Storify as a way to share the event as a story with others. 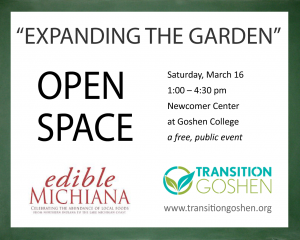 We’ll be using the hashtag #ttgoshen before, during or after the event in order for your content to be included. This entry was posted in Uncategorized by Phil Metzler. Bookmark the permalink.